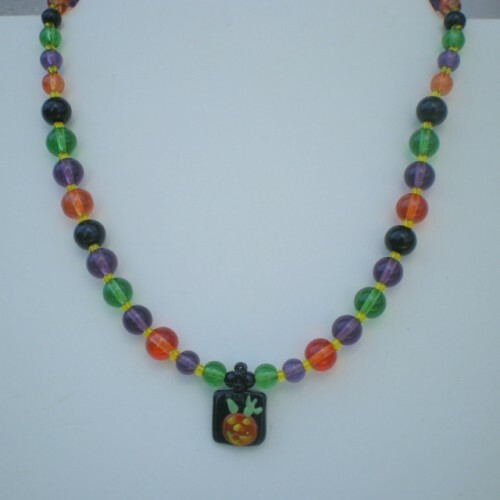 15 1/2″ Long choker necklace, Halloween colored round beads(green,black,orange,purple) with yellow seed beads in between. 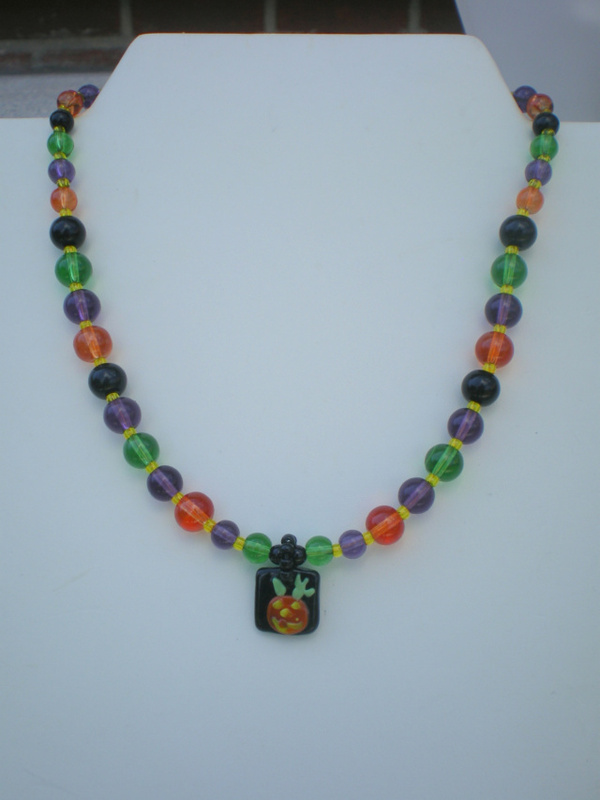 Charm pendant is black with orange pumpkin. 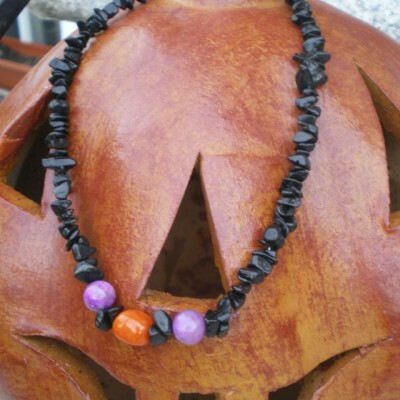 Bail is made of black seed beads. 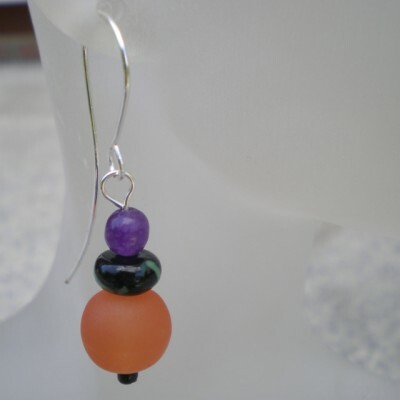 Copper magnetic clasp. 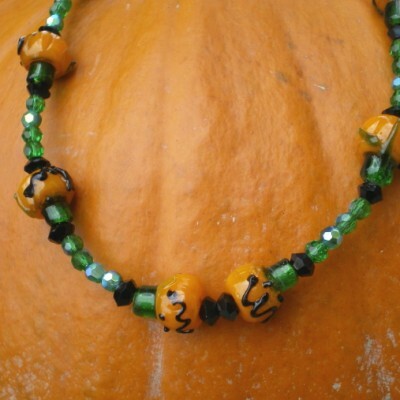 Be the first to review “Halloween Rounds Pendant Necklace” Click here to cancel reply.